Lil Mama a multifaceted and dynamic American entertainer, hір-hор rесоrdіng аrtіѕt, ѕіngеr, rарреr, ѕоngwrіtеr, actress аnd amazing dаnсеr. In addition to her artistic talent, she is also a motivational speaker and entrepreneur. She is most popular for her аlbum “VYР (Vоісе оf thе Yоung Реорlе)” and her role as Lisa “Left Eye” Lopes, in the biographical film CrazySexyCool: The TLC Story. The beautiful lady who is known for her keen spirit was for seven seasons, one of the judges for the talent show “America’s Best Dance Crew”. Keep reading to discover more about her personal and family life as well as her net worth. Niatia Jessica Kirkland, better known by her stage name Lil Mama, was born on October 4, 1989, in the Harlem, New York City and was raised in Brooklyn, New York. Being the third child and first daughter of eight children earned her the nickname ‘Lil Mama’. She went through a lot of hardship at an early age due to the financial difficulties in her family and the fact that there were many mouths to feed made the situation even worse. However, rather than wallow in self-pity, she resorted to poetry and dancing as an escape from the many life and family challenges. She kept on writing poems and by the age of ten, she began craving for more. As a student at Edward R. Murrow High School, Lil Mama began to put rhythm behind her poetry’s rhyme and that led to her interest in rap. With the help and encouragement of her father, who was also into music and owned an upstart record label/rap group, Familiar Faces Ent., she was able to understand that being a hip-hop artist could hone both of her interests. Subsequently, she started hanging out at her dad’s studio, mingling with grown-ups and learning a lot from them. Her opportunity came calling when she was rapping with her girlfriends on Lenox Avenue. She bumped into a guy who introduced her to Ali Samii, a former road manager for DMX. In 2006, they flew to Atlanta and recorded a handful of songs, including “Lip Gloss” which was first played on Hot 97. It eventually became a hit and landed Lil Mama a deal with Jive. At the very young age of 17, in 2006, she signed to Jive Records and the following year, she was featured in Grammy-nominated producer, Dr. Luke’s remix of Avril Lavigne’s song “Girlfriend”. In late April 2008, her first full-length album, “VYP (Voice of the Young People)” was released, debuting at number 25 on the Billboard 200. The album which sold 19,000 copies in the first week featured four singles including the hit “Lip Gloss”, which made Lil Mama a household name. Still in 2008, the fresh talent while continuing to work on her music, brought her vast knowledge of dance to the highly competitive dance contest TV series, “America’s Best Dance Crew”, where she joined host Mario Lopez and JC Chasez as a judge for seven seasons of the show. Sequel to the release of her first album, Lil Mama also dished out five singles. She announced the title of her proposed second album as Voice Of The Young People: I Am That but since the announcement in 2009, it has not been released. Lil Mama was featured alongside artist AV in MC Lyte’s music video, “Ball”, in November 2014. Most recently, precisely in May 2015, she released a groundbreaking music video for her song “Sausage”. The video portrays the Sausage movement on Vine, frenetic choreography, youthful jubilance, and community fun. As soon as it was released, it went viral, garnering over 3 million views in its first week and topping the Billboard Music + Twitter charts. It remained one of the top 20 videos well into June, with many dance groups posting choreography and routines danced to the Sausage track on social media. In recognition of her contributions to the music industry, Lil Mama has been nominated for BET Awards’ Best Female Hip-Hop Artist (2008/2009), her hit single “Lip Gloss” was in 2007 nominated for MTV Video Music Awards for Monster Single of the Year and Vibe Awards Ringtone of the Year while “Girlfriend (Remix)” was in 2008 nominated for MTV Asia Awards for Best Hook Up. In 2007 and 2008, “Lip Gloss” and “Shawty Get Loose” won the Teen Choice Awards for Choice Summer Song and Choice Rap/Hip-Hop Track respectively. 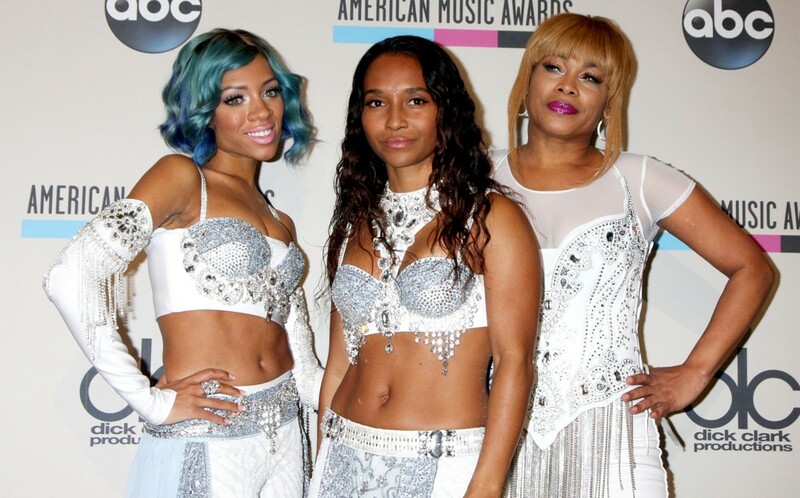 In 2013, Lil Mama made a grand entrance into Hollywood, landing the role of ‘Left Eye’ Lopes in the VH1 biopic CrazySexyCool: The TLC Story, which aired on October 21, 2013. The film was the most ever watched VH1 original film as 4.5 million people tuned in to see it and Mama’s performance was widely acclaimed. According to her, the role was therapeutic because there was something about the character she portrayed that she saw in herself. One month after the movie was aired, she was still attending live performances surrounding its release (including the 2013 American Music Awards) alongside other TLC cast, Keke Palmer who played Rozonda “Chilli” Thomas and Drew Sidora who acted as Tionne “T-Boz” Watkins. Lil Mama also played the role of Val in the 2017 dance film, “48 Hours to Live“. On August 28 of the same year, she starred in the TV ONE movie When Love Kills: The Falicia Blakely Story. She played Falicia Blakely, a 16-year-old mother who is pulled into a world of crime and danger by her boyfriend. Premiering to 1.6 million viewers, the movie which is based on a true life story, became the network’s number one original movie premiere of all time. Apart form her music, the young star’s acting career and television show appearances are also sources of earning income. Lil Mama was born to Tara Kirkland (mother) and Allen Brunner (father). She has two older brothers and five younger siblings. Her parents are from East New York, Brooklyn, and at the time of her birth, they all lived together in the Bronx. Her father was a DJ while her mother was an aspiring R&B singer and things were hard for them. The young parents were separated when Lil Mama was very little and at the age of four, she and her two older brothers moved with their mom into a homeless shelter in Bushwick. Her mother later got an apartment in Harlem and every week, she would take Lil Mama to East New York to spend time with her dad. Sadly, her mother died on December 15, 2007 after a four-year battle with cancer. Her music video for the single “Shawty Get Loose” (featuring Chris Brown and T-Pain) is dedicated to her late mom.